Three optical grade acrylic lenses — no additional lenses to buy! The various combinations of these lenses produce four magnifications: 1.8X, 2.3X, 3.7X and 4.8X. Lenses pivot in/out of position to change the magnification. 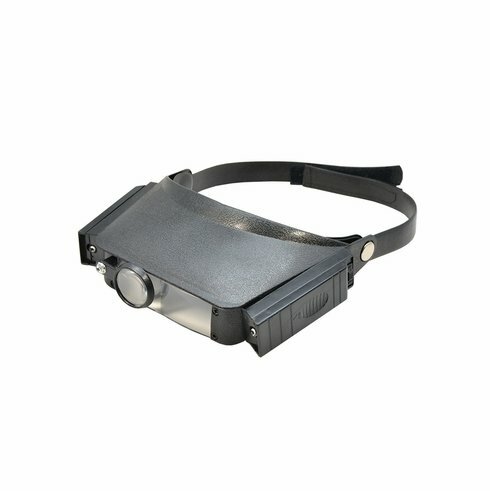 Work directed lights on both sides of magnifier can be used jointly or singly. Velcro adjustable headband. AAA batteries not included.